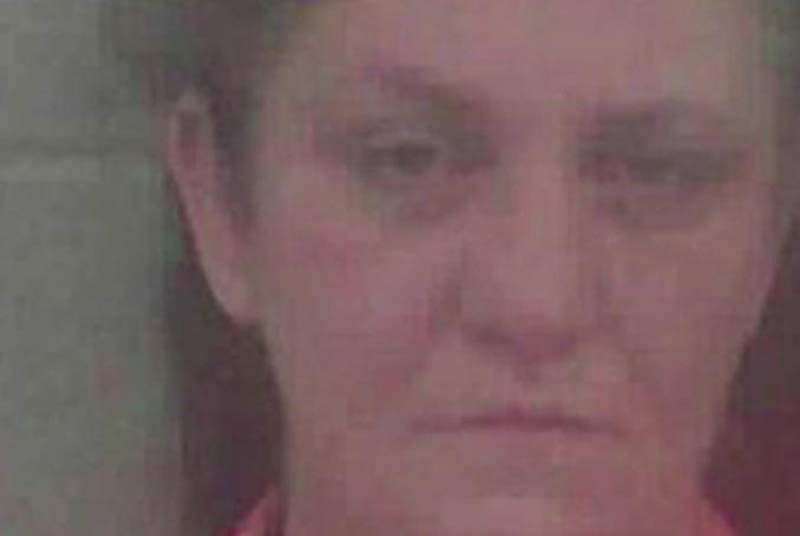 A former police officer in Georgia was sentenced to 15 years in prison after she lied about a black man shooting her while she was on-duty. Sherry Hall, 43, was a police officer with the Jackson Police Department in Jackson, Ga., on Sept. 13, 2016, when she made up a story about the man wearing a green shirt and black jogging pants shooting her. Hall's story set off a manhunt for the shooter, and at least one man was detained for questioning. But 10 days after Hall was shot, investigators figured out she fabricated the story. They then charged her with 11 counts of making false statements, violating her oath of office and tampering with evidence. Among the evidence against her was that her department-issued backup gun was found in the woods near the scene and that gun's firing pin, which would identify the bullets it fires, had been tampered with. In addition, she did not call for backup immediately after the shooting, but instead sent several text messages before making the call. Hall maintained her innocence and told the court during her trial that she didn't remember much about the night of the shooting because she has post-traumatic stress disorder from the ordeal and has been in therapy "trying to suppress it." Jurors found her guilty in August and Towaliga Superior Court Judge Thomas H. Wilson sentenced her to 15 years in prison to be followed by 23 years of probation. "I feel sorry for the whole family. I feel sorry for everything you've gone through. But Ms. Hall, I'm not sorry for you one bit and I'm going to tell you what," Wilson said, according to the Jackson Progress-Argus. "One percent of the police officers in the United States are ruining it for 99 percent of the others. What you've done, you've put such a black eye on law enforcement, it's hard for them to overcome it. We've got so many folks fighting us now days and you just added to it." As for why Hall did it, authorities haven't been able to figure that our for certain. There is speculation that Hall, who had been on the job for only three months before the incident, may have invented the story to get disability payments for having PTSD. "She did a great job for us, up until that night," Jackson Police Chief James Morgan said, according to the Atlanta Journal-Constitution. "So we didn't see this coming. But this was not a mistake. It was a conscious decision and a choreographed act."